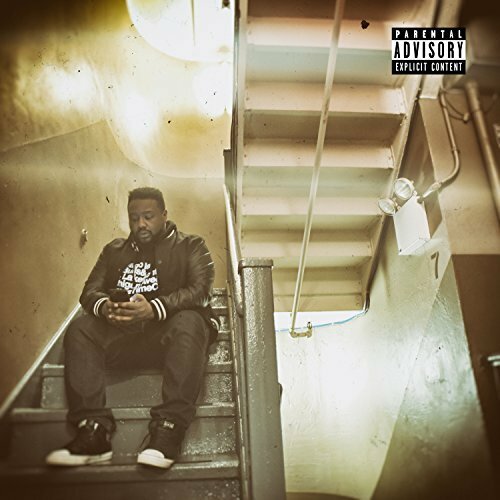 Announced almost two years ago, No News Is Good News has been in the incubator for some time, despite Phonte believing this project wouldn’t have the long, two-year creative and production process that birthed CSAH. Helping him is cultivate his new baby is a bevy of talent in front of and behind the scenes, including but not limited to: featured artists Eric “Erro” Roberson and Midwest rapper Freddie Gibbs, long-time +FE collaborator Lorenzo “Zo!” Ferguson, Devonne Harris (who also worked on 2016’s Tigallerro duet album with Erro), progressive trumpeter Josef Leimberg of 2016’s Astral Progressions fame, Terrell Wallace (Gilles Peterson, Tall Black Guy), and a host of relative newcomers. With this solid creative team, the project joins veteran projects like Jay-Z’s 4:44 in confidently answering the prevailing pop culture question what does a rapper over age 40 write about, and does it follow trends? Like Jay-Z and producer No-I.D., Phonte partially answers by surrounding several songs with strong R&B and soul elements in-line with the classic hip hop of the ‘90s, if with the contemporary blueprint that made +FE an act that seemingly go from strength to strength with every album. “Such Is Life” opens with a flutter of soulful lightness in keys and vocals before sliding into a deceptively silky, sophisticated soundscape of romantic elements that belies the harsh realism of every day street life Phonte depicts on the cut’s portraiture. With Eric Roberson on “Find That Love Again,” Phonte returns with his partner on a two-stepping smooth, light funk that personified the best of the mid-tempo grooves of the brilliant Tigallerro. The marital bliss of “Sweet You” throwback goes so far as to be a remixed, hip hop sequel of +FE’s “Sweeter Than You” from the Grammy-nominated Leave It All Behind.